I was bored and decided to do a sketch of a Oviraptor. 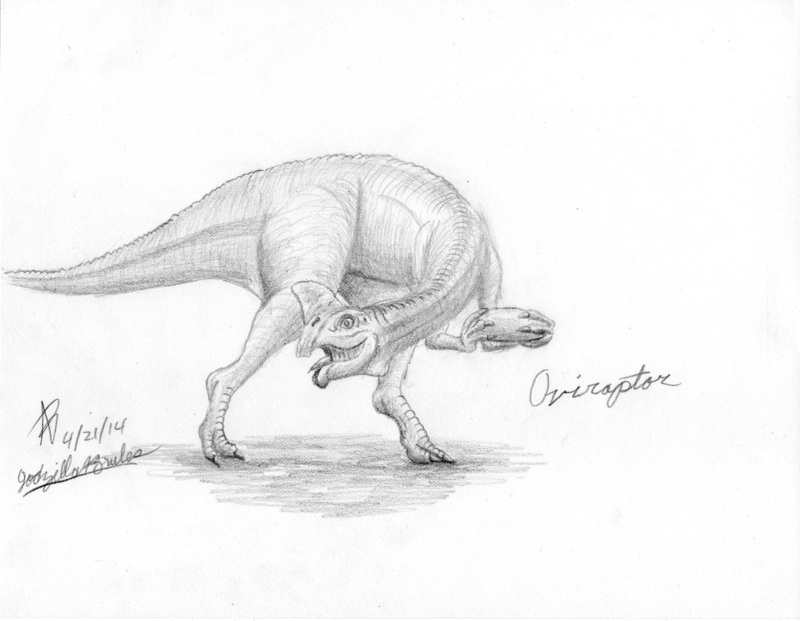 Even though this dinosaur is no longer an egg thief, I thought stealing an egg would make an interesting drawing. I am proud at how this sketch came out, especially with the face.